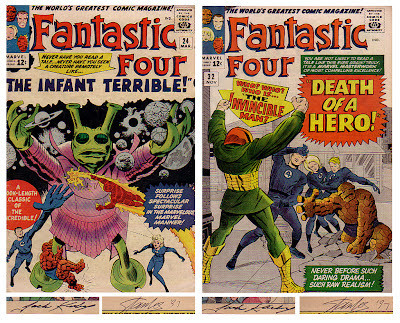 My two Fantastic Fours signed by Jack Kirby and Stan Lee. 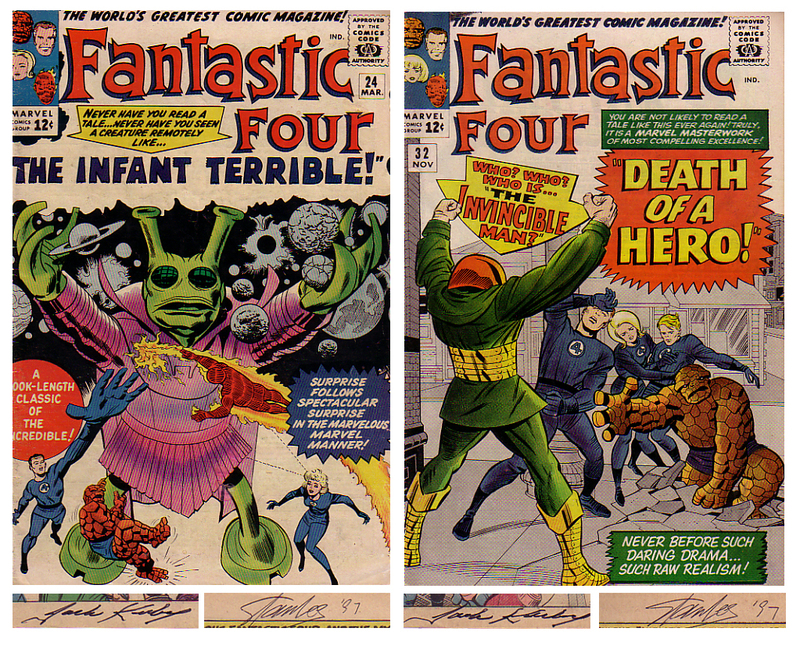 Got them in the early 90s at a convention with Kirby's signature already on them. Got Stan to sign them in '97. Was just wondering my way through and I came across this entry on your blog. All I have to say is protect them and maybe get them framed. Hang them with pride! They look like there singing for being singed :) cool classic books nonetheless. ( pulled your Kraven Sketch card from marvel beginnings II - pretty cool man, thanks) slick signing out. Signed by who?